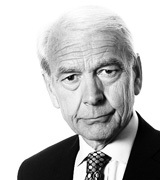 John Humphrys - Capitalism: the Problem or the Solution? September 30, 2018, 5:00 a.m. The party conference season that’s about to end (thankfully, in the eyes of many) was always going to be dominated by Brexit. But there’s another, perhaps even more fundamental issue which underlies much of the conflict within and between the parties. It’s capitalism itself. Is ‘greed-is-good capitalism’ the root cause of the problems facing this country? That’s what Jeremy Corbyn, Labour’s leader, told his conference this week. Or is capitalism, as the Tories argue, the system best suited to promote prosperity and freedom? And which argument is winning? Many people believe that the extraordinary transformation in the politics of the western world over recent years – Brexit, the election of Donald Trump, the rise of both the far right and the far left in European politics – can be traced back to the financial crisis of ten years ago. It was responsible for the ensuing recession in most western economies, for the policies of austerity that governments felt forced to introduce to repair their balance sheets, and for the growing alienation of electorates from their governing elites. In short, capitalism had failed and yet the capitalists had not paid the price of their failure. None of the big boys went to jail and it was the poor and vulnerable who paid the biggest price. Now, the fear is that the cycle is set simply to repeat itself. That certainly is the view of Jeremy Corbyn, who told his party’s conference in Liverpool on Wednesday: ‘Ten years ago this month, the whole edifice of greed-is-good, deregulated financial capitalism, lauded for a generation as the only way to run a modern economy, came crashing to earth, with devastating consequences. Instead of making essential changes to a broken economic system, the political and corporate establishment strained every sinew to bail out and prop up the system that led to the crash’. He insisted that under his leadership there would be no bailing out and propping up: the whole capitalist system needed transforming. His implication was that the Labour government of Gordon Brown had failed to achieve that transformation. The headline measure he and his shadow chancellor, John McDonnell, announced in Liverpool was a plan to force every company in Britain with more than 250 employees, gradually to hive off ten per-cent of their shares into an ‘inclusive ownership fund’ which ultimately would pay up to £500 a year in dividends to employees with any excess in dividends paid to the Treasury. This was immediately denounced by business as a covert tax grab and under-the-counter nationalisation, with untold harmful consequences to investment, incentives and even pay rates. It was also dismissed as unworkable. Mr McDonnell, however, was undeterred. Indeed, he said this was just a ‘tiny step’ in a much bigger plan to overhaul business and to renationalise many of Britain’s major utilities. He repeated Labour’s determination to take back into public ownership the water industry which, in its current privatised form, has been widely criticised for ripping off consumers to the benefit of shareholders and highly-paid executives. Labour would reorganise the industry so that it would be ‘run by local councils, workers and consumers’. This would be a model for further re-nationalisations of the energy, mail and rail industries. He went even further by invoking the highly controversial former Clause IV of Labour’s original constitution, ditched by Tony Blair twenty years ago, which committed the party to ‘equitable distribution … on the basis of common ownership of the means of production’, saying that its original principles ‘are as relevant today as they were back then – fair, democratic, collective solutions to the challenges of the modern economy’. In short he and Mr Corbyn recommitted Labour to the policies of a radical socialist transformation of the economic system they never lost faith in during the long period of ‘New Labour’ under Tony Blair and Gordon Brown, when the Labour government accepted capitalism as the most beneficial system of economic organisation and one of its leaders claimed he was ‘supremely relaxed’ about people becoming ‘filthy rich’ (so long as they paid their taxes). So, as the Tories meet in Birmingham, the stage is beginning to be set for a battle at the next election between a Labour Party committed to a socialist transformation of the economic system and a Conservative Party that still believes in capitalism. How well are the Tories putting the counter case? ot at all well, according to many outside observers and even some of its own MPs. The government, of course, is so preoccupied with Brexit and the fierce divisions within the party as to how best to bring Brexit about, that many believe it’s unable to think about anything else. One of the consequences is that they are leaving Mr Corbyn’s analysis unchallenged. That at least is the view of one senior Conservative MP, Robert Halfon. . Writing for the Conservative Home website Mr Halfon said: ‘The problem for Conservatives is that the Corbyn description of what is going on resonates with millions of people. Failing railways. Increased homelessness on our streets. Families struggling – despite working every day. Our infrastructure under strain and potholes across our roads. High streets closing as traditional shopping is swooped by Amazon on the internet. Crime and anti-social behaviour on the rise. They are speaking to the problems faced by many. We too often speak only for the few’. Such an agenda was the one Theresa May claimed to be committing herself to when she spoke on her first day in office of tackling ‘burning injustices’ and representing the interests of those ‘just about managing’. What worries many Tories is not just that Brexit has demanded virtually all of her attention but that their own neglect of this agenda has allowed Labour to fill the vacuum with a programme that challenges the very basis of the economic system they believed had become consensual between the parties from Thatcher through Blair and Brown to now. They worry that capitalism is under political threat as never before in the last forty years. What’s more, some Tories think their own leaders are themselves contributing to this threat. They winced when Boris Johnson, then their foreign secretary, was reported to have said ‘F*** business!’ when business leaders expressed alarm at the direction the government’s Brexit policy seemed to be taking. And they raised an eyebrow when his successor, Jeremy Hunt, then the health secretary, said it was ‘completely inappropriate’ for business to make its opinions known on a Brexit issue. Some think the government has been too keen to offer a weakened version of Corbynite policies in, for example, introducing a cap on energy prices, a policy initially advocated by Labour’s last leader, Ed Miliband. In short, some Tories believe their own party is conceding too much to the anti-capitalist argument. That’s the view of Sam Gyimah, the universities minister. In the latest edition of the House magazine, he writes: ‘When we veer between talking business down, ignoring voters’ concerns and telling business to shut up – or worse – it is a clear sign we have lost our way’. Mr Gyimah argues that the party was at its best when it was ‘pro-enterprise and pro-endeavour’. He writes: ‘When it comes to our relationship with business, we must unscramble our compass. … We need to realise that if we are not the party of business, then we are nothing’. He adds: ‘If all voters hear from us is an echo of the Left’s concerns, and singing from Labour’s hymn sheet, without an enthusiastic and full-throated endorsement of open markets and without trumpeting our record, we will have only ourselves to blame when they turn away from capitalism. … Yes, we need to be honest about the failings of capitalism, while making the case that it’s the best system we’ve got’. Unless we are still arguing about Brexit at the time of the next election, that is what the election campaign could well be all about. Is capitalism indeed ‘the best system we’ve got’? Or is it, as Mr Corbyn and Mr McDonnell argue, the source of everything that has gone wrong in the last ten years? What’s your view? And who do you think is putting the more persuasive case?